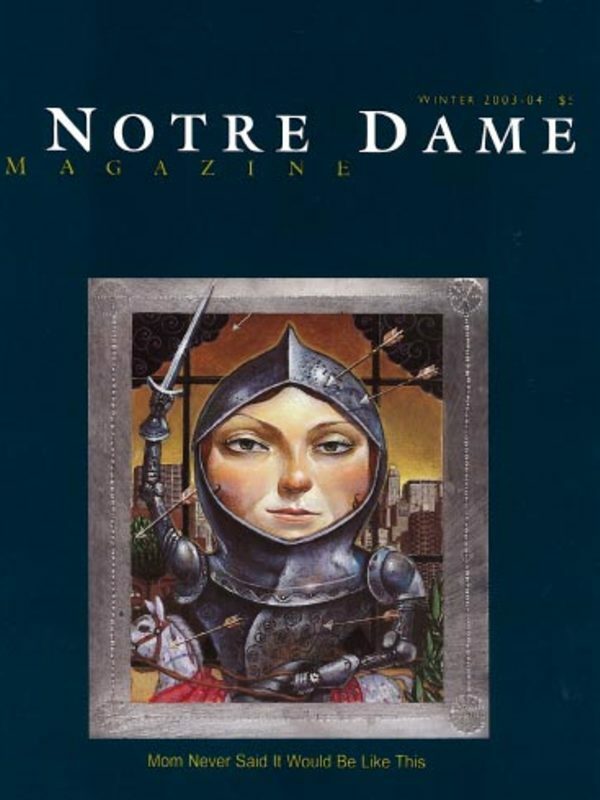 What’s so Great about Notre Dame? A list of ingredients — then and now — that have made Notre Dame the special place it is. The Holy endures, unfolding, always and everywhere, one person at a time. Foreign species may create havoc when they invade a new environment. Notre Dame’s David Lodge is doing all he can to help maintain the equilibrium. How is the emeritus professor wounded in the bombing of the U.N. headquarters in Baghdad doing? What became of ND’s lawsuits against the contractors on the stadium expansion? Memories from Another Century, by Armiger (Joe) Sommers ’42, ’43MS, ’48Ph.D. My Yellow Two-door Crosley by Bernard Ryan Jr.